In the early church all discussion of theological topics, of moral issues, and of Christian practice took the biblical text as the starting point, resulting in a substantial library of biblical commentaries and homilies. Unfortunately, this ancient body of writings is now known only in bits and pieces if at all. The Church's Bible series brings this rich classical tradition of biblical interpretation to life once again. 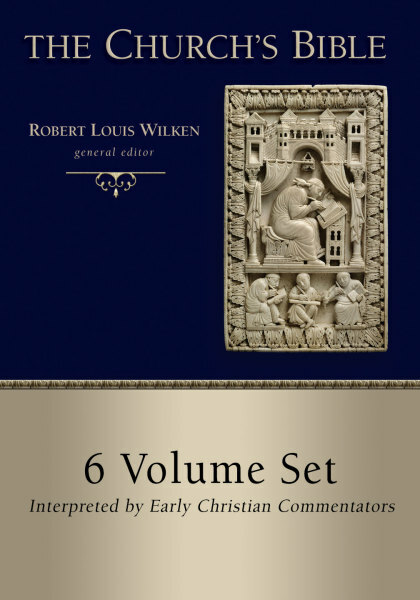 Compiled, translated, and edited by leading scholars, these volumes draw extensively from early and medieval commentators, illuminating Holy Scripture as it was understood during the first millennium of Christian history. Designed for clergy, Bible teachers, men and women in religious communities, and all serious students of Scripture, The Church's Bible will lead contemporary readers into the inexhaustible spiritual and theological world of the early church and hence of the Bible itself.